Bill 148: Are you prepared for January 1st? The 14th century monk and poet John Lydgate famously coined the phrase: “You can please some of the people all of the time, you can please all of the people some of the time, but you can’t please all of the people all of the time”. This perfectly sums up the public response to Bill 148. Various unions and employee interest groups have argued the reforms to the Employment Standards Act contained in Bill 148 don’t go far enough to protect the employee. Contradicting this position are numerous economic studies and analyses from a coalition of business groups, including CANCEA (Canadian Centre for Economic Analysis) and the Ontario Chamber of Commerce, who argue Bill 148 will have a significant negative impact on Ontario’s economy. Regardless of the merits on both sides’ arguments, Bill 148 will have a significant impact on your operations. Additional record keeping obligations are also being added with respect to overtime pay, public holidays and vacation pay. An employee who is scheduled to work but is returned home is entitled to a minimum of 3 hours of call-in / reporting pay at the employee’s regular wage rate, except in situations where the inability of the employer to provide work is due to circumstances beyond their control (such as a fire, power outage, storms, etc.). An employee who is required to be “on-call” must be paid a minimum of 3 hours of their regular wage rate. An employer who cancels a shift and provides the employee with less than 48 hours of prior notice is required to pay the employee a minimum of 3 hours of their regular wage rate. An employee is entitled to refuse an employer request to work if the request is made less than 96 hours before the shift. Employees are entitled to holiday pay that is equal the total wages earned in the pay period before the holiday, divided by the number of days worked during that pay period. In the event an employer substitutes a holiday with another day, the employee must be provided with a written statement that sets out the public holiday that the employee must work, the substitute date, and the date on which the statement was provided to the employee. Bill 148 will provide employees with more than 5 years of service a third week of vacation with pay equal to 6% of the employee’s wages). Currently, employees in Ontario are only entitled to 2 weeks of vacation under the Employment Standards Act. This change will align Ontario with almost every other jurisdiction across the country. Bill 148 introduces a number of unpaid leave entitlements and increases others to align job-protected leaves with the benefits that employees may receive under the Employment Insurance regime. What do you think of Bill 148? Are you prepared for January 1st, 2018? This content is general information regarding its subject and may not be construed as providing legal advice. The ADP Logo is a registered trademarks of ADP, LLC. 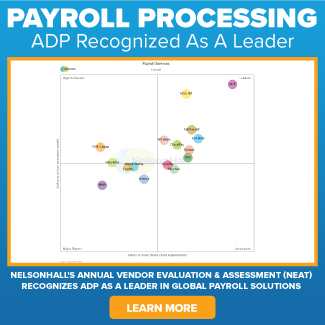 This content provides practical information concerning the subject matter covered and is provided with the understanding that ADP is not rendering legal advice or other professional services. 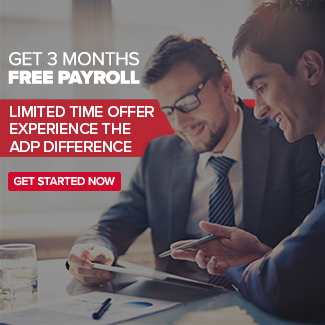 ADP does not give legal advice. While every effort is made to provide current information, the law changes regularly and laws may vary depending on the province or territory. The material is made available for informational purposes only and is not a substitute for legal advice or your professional judgment. You should review applicable law in your jurisdiction and consult experienced counsel for legal advice. Please be advised that calls to and from ADP may be monitored or recorded. ADP and the ADP logo are registered trademarks of ADP, LLC. ADP A more human resource. is a service mark of ADP, LLC. All other service marks and trademarks are the property of their respective owners. © 2017 Copyright ADP Canada Co.